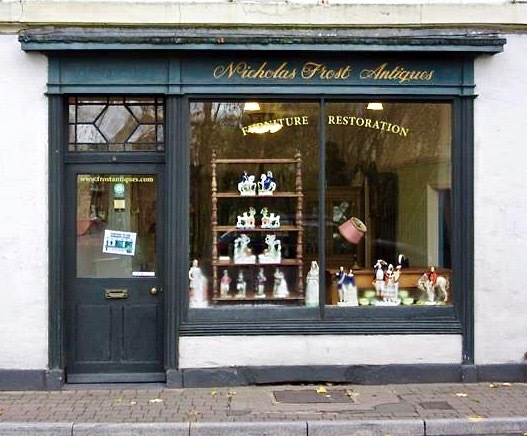 The shop in Priory Street has been home to Nicholas Frost for many years, evolving across the generations to become a specialist outlet. Based in the heart of the Wye Valley - Our retail premises are to be found on the left entering Monmouth from the English side. The shop faces up the Monnow Valley towards the Black Mountains. To the side and rear of the showroom is to be found the workshops, where the staff are always happy to show customers stock that is unrestored or in showroom condition.